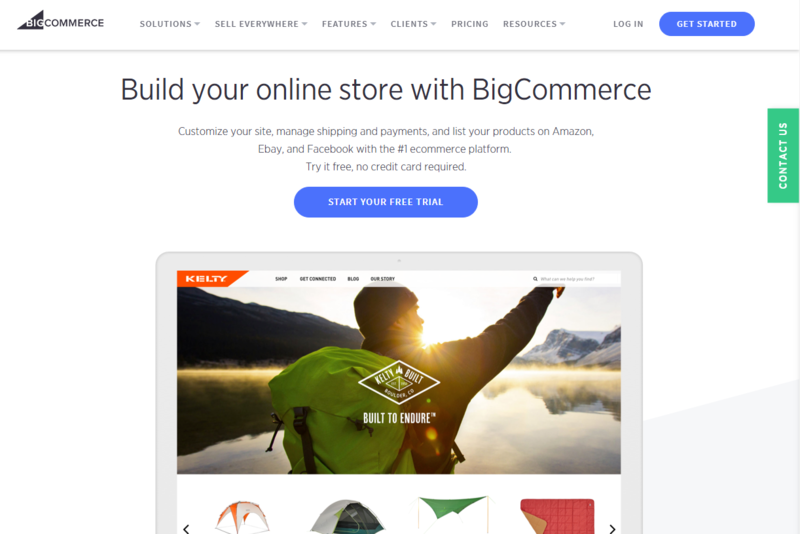 BigCommerce regularly makes the top 10 list of many ecommerce review sites because it is an amazing solution which is user friendly, feature rich and highly customizable. It allows merchants to set a local pick up or in-store pickup option, which is a growing trend. They didn’t get everything perfect but most people should find setting up a store with BigCommerce not much of a fuss. 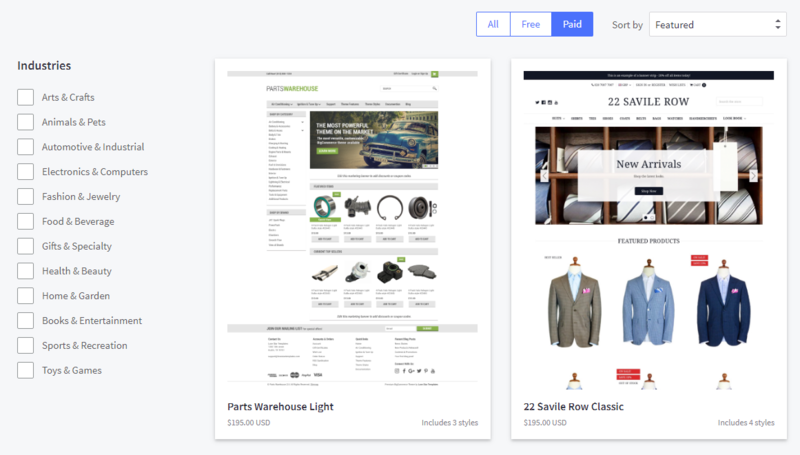 BigCommerce recently updated their entire site look which has a cleaner interface. They’ve also changed their company logo to reflect the direction that they are heading which in this case is helping online businesses grow more. They claim to be the best ecommerce platform for growing sales by offering more traffic, higher conversion and unmatched performance for those using their online solution. O,Yeah! Highly customizable. Very user friendly. No setup fees. No termination fees. No transaction fees. Lots of features. O, No! Abandoned Cart Saver is a fantastic tool. Too bad the people who need it most are the ones who can only afford the lower plan which do not come with this feature. 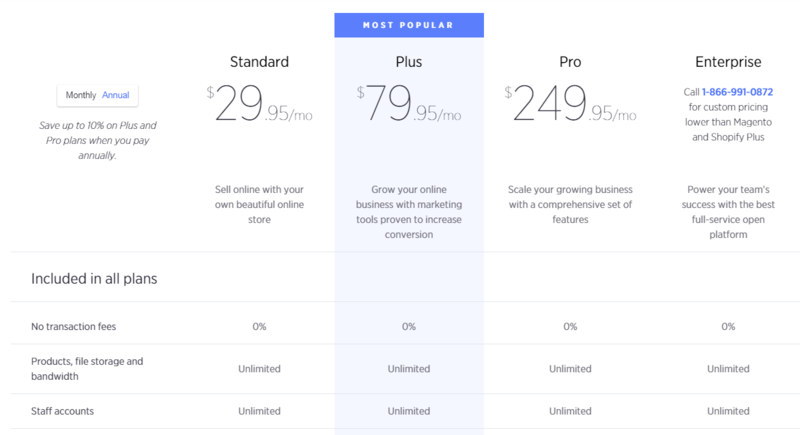 BigCommerce’s price structure has been simplified. They used to offer 5 different plans which would appeal to a wide range of pocket depths. Currently they have streamlined it to 3 different plans. The Abandoned Cart saver feature is only available for those who are on the $79.95/month Plus Plan. The Abandoned Cart Saver feature is important since it can actually help salvage a chunk of abandoned carts. InstanteStore includes this feature in all their plans which I think is a good thing as the people who need the most help are the ones just starting out in ecommerce. Signing up is pretty standard. My store was created pretty fast. 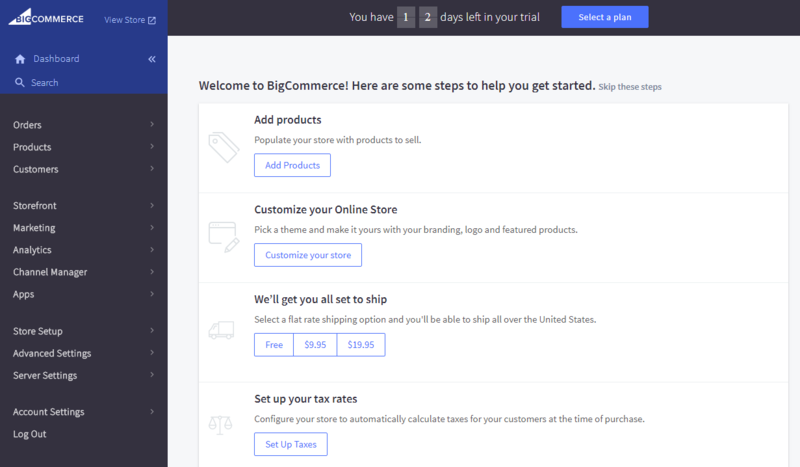 I like that BigCommerce takes the effort to make users, especially first-timers, feel comfortable using their solution. First time users will land in the Dashboard where they have a choice of going through the tour or not. Standard stuff, which is a good thing. BigCommerce is loaded with features – both built in and in the form of apps which you can add to your store. 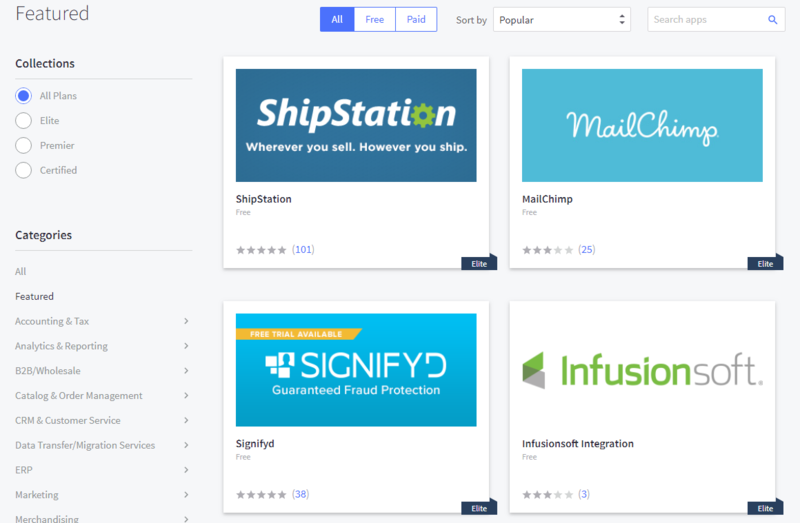 Just like Shopify, some apps are completely free, some are free for a trial period, some come with a one-time fee and some require monthly fees. It’s a shame that the Daily Deal Bar is at $9.99. If I’m not mistaken, Volusion is offering a similar feature for free. They’ve got over 32 payment processors to choose from so you should not have a problem finding a processor to suit your needs. Unless it’s not on the list.. 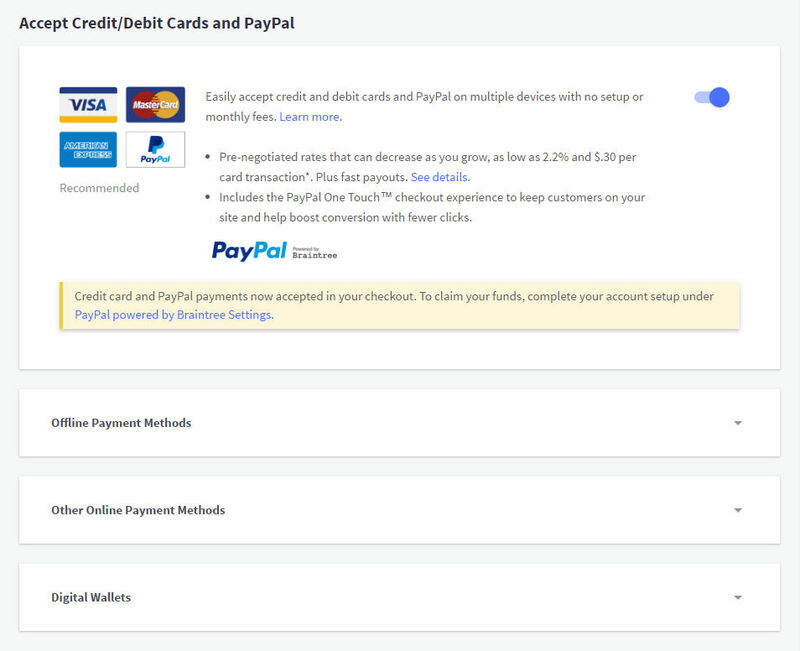 Moreover, first time merchants will notice that by default, BigCommerce automatically chooses a template and set the payment gateway as PayPal. They’ve also integrated Apple Pay which can be found under Digital Wallets. 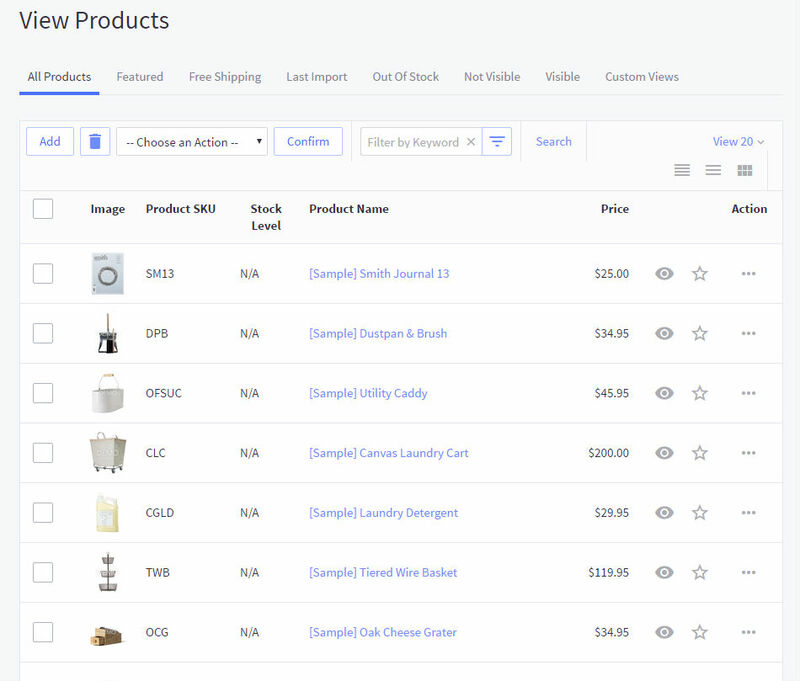 Another good point is that BigCommerce has all the basic steps which merchants need to complete all listed out on the main dashboard. This acts as a guide and reminder to first time merchants on what is needed before they can take their store live. 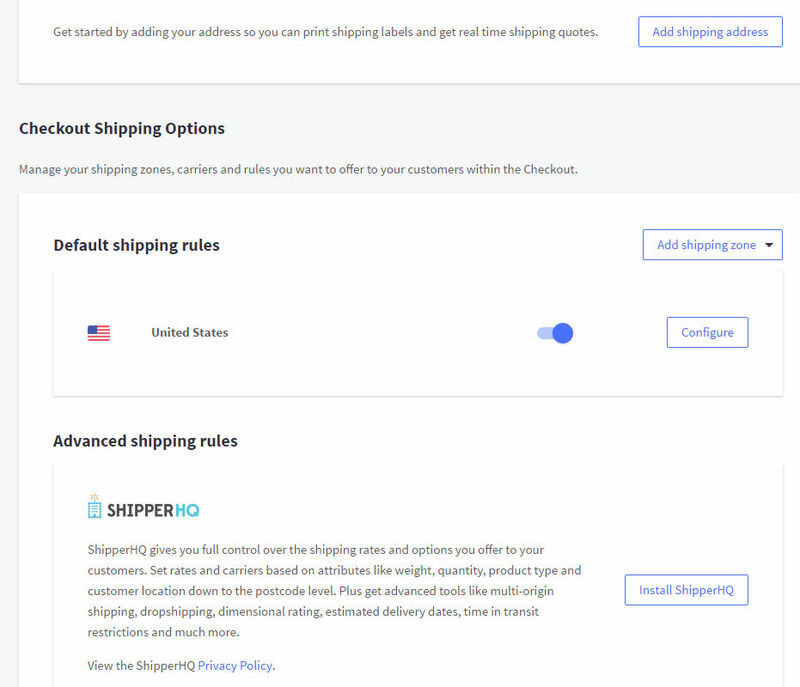 While configuring shipping should be easy with the clean interface, merchants who want more control or wish to ship from various locations instead of only one origin may need to use additional shipping apps. There’s ShipHQ which they could consider as it’s located in the shipping section but merchants will need to install it and it costs a whopping $50/month! Personally, I think that’s way too much and will eat into the merchants’ monthly budget. 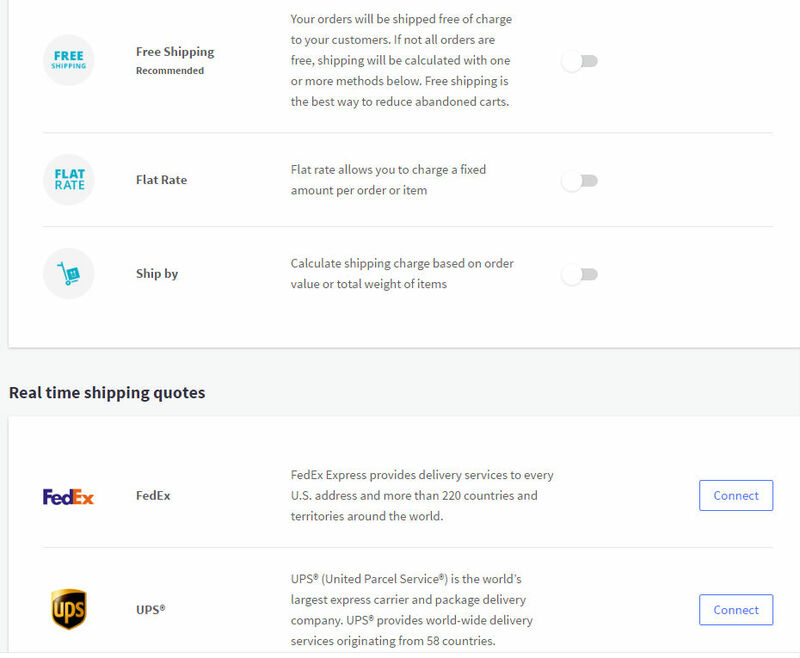 We asked the folks at InstanteStore whether their solution could allow merchants to ship out from various origins to domestic and international destinations and they said they could help configure the shipping for merchants if requested. It sure doesn’t cost $50/month! 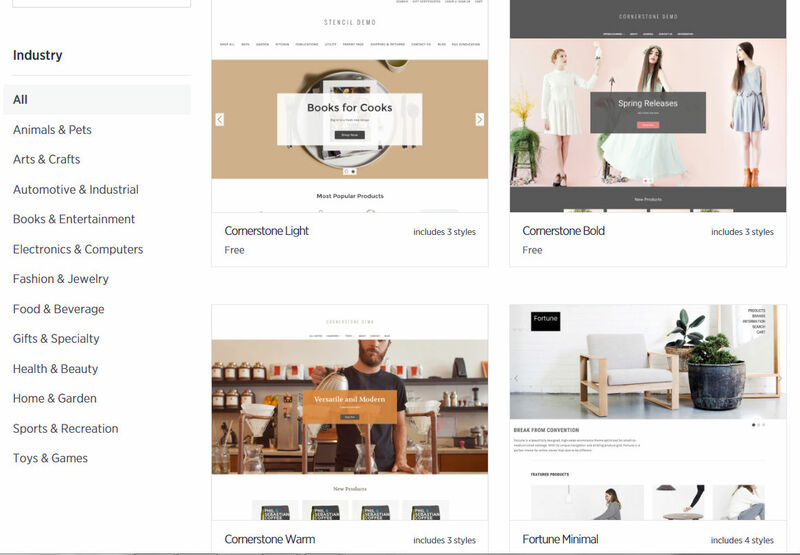 The free templates that BigCommerce has to offer are acceptable. Fortunately, you can opt for paid themes which cost anywhere from $145 to $235 if you see any that you would like to use for your store. Free themes are limited to only 7 choices so if you don’t like any of them, you’ll have to purchase your own theme. Adding products and creating categories is a no brainer here. Everything is well laid out and they’ve gone and pre-populated your store for you. Nice. Although I don’t see why they couldn’t make it so I could add product images and set options all in one page. One nice little detail I noticed is there will be a prompt to add in the product dimensions if you’re planning to use real time carrier rates. This helps to ensure shipping rates are calculated as accurately as possible. You can also select which images you would like to use as thumbnail. 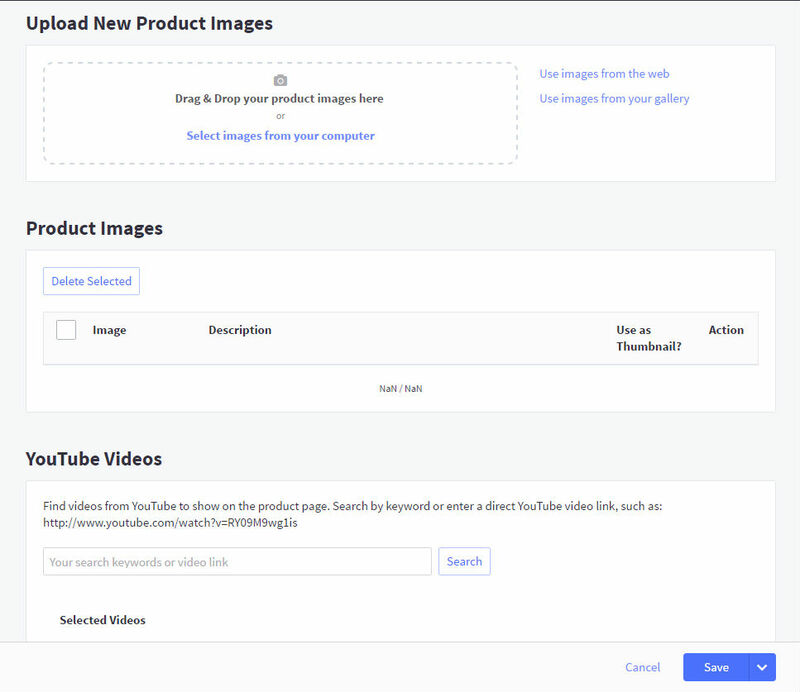 It’s also easy to add in Youtube videos of your product. BigCommerce makes it easy for merchants to add their products to Google Shopping giving merchants a wider target market reach which is a tremendous help. Just look for the Google Shopping app to install which is available for free. Note : By the way, if you want to view your store, you’ll need to copy and paste the preview code which is located in the Review & Test Your Store section. Personally I think this is just a waste of time. 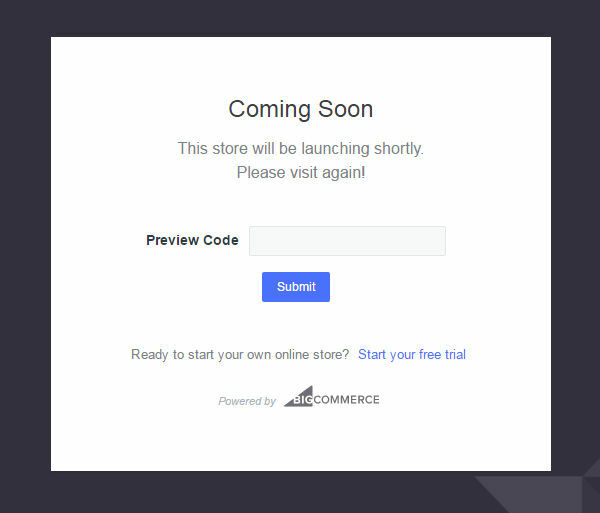 Merchants want to quickly build and see their store without the hassle of having to copy and paste preview codes. Please note that you’ll have to keep doing this as it’s not a one time thing. Even when you want to make changes using their Style Editor, you’ll notice a yellow box stating that only administrators and guests who have the preview code can view the store. Other than the annoying preview code, I like the style editor as merchants can see the changes being displayed immediately without having to leave the page. For instance, if you change the style of the theme, you’ll get to see changes on the page itself without having to go to another page. Changing the color of the buttons was also easy and almost instant. Once you’re done, remember to Save and Apply the Theme to your store front. I really like BigCommerce’s carousel setup page. It’s really easy for merchants to use when wanting to add sliders to their front page. Changing the order of the slides was also easy as you just drag and drop them in the sequence that you want them to appear. 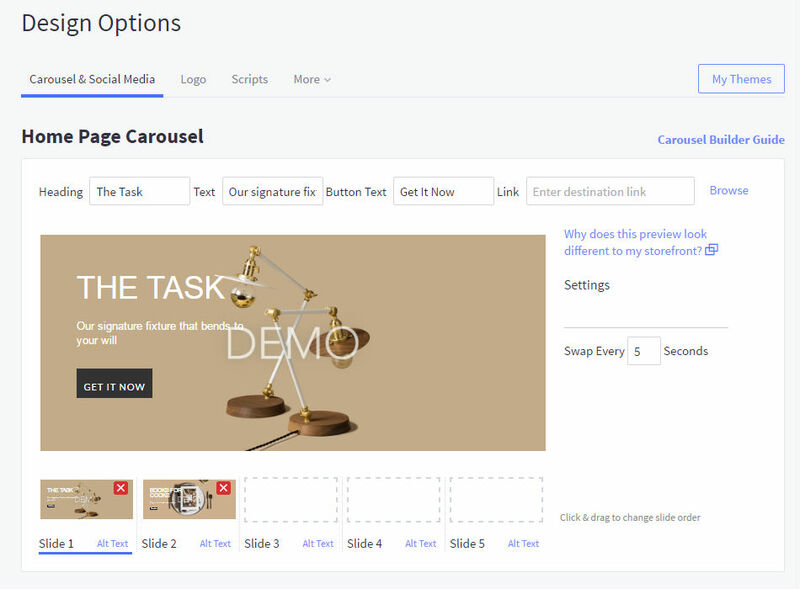 That aside, you can do everything on one page – customize text, adjust timing, add link, add Alt Text to slides – and it can all be done within the first fold. Lovely. BigCommerce has got pretty good support on the whole – knowledge base, support ticket system, live chat, etc . Their knowledge base is up-to-date and the instructions are pretty clear. 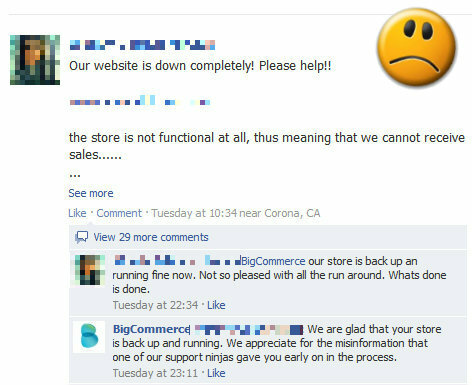 BigCommerce powers a whole lot of stores so their Facebook page is quite active. The complaints outweigh the pats on the back on their Facebook page and ecommerce forums but that does not really reflect the companies service. The bottom line is that the company, via its Support Ninjas and SysAdmins, although at time may not have dealt with certain issues in the best possible way, they none-the-less didn’t try to sweep everything under the carpet unlike certain other solutions. Issues are always solved, as what I have observed, although the route taken may not have been the most efficient. When I first reviewed BigCommerce a few years back, I read in their copy that their solution was easy enough to be used by grandmothers. Tried as I may, my 96 year old grandmother could not make head or tail of it. 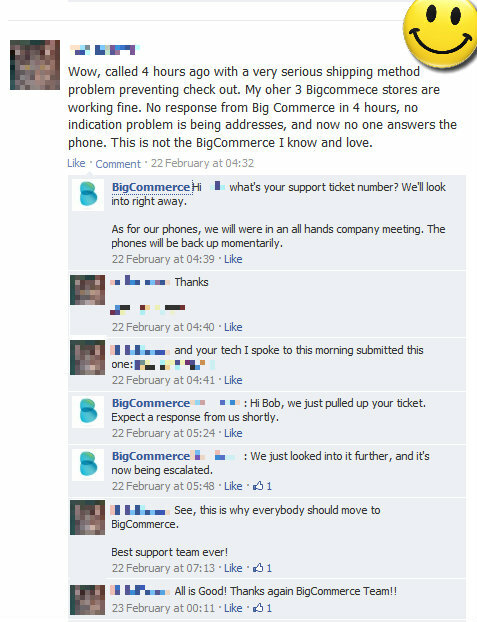 Jokes aside, BigCommerce has done a good job with their ecommerce solution in making it user friendly. Of course there can always be room for improvement and judging by what BigCommerce has done so far, I’m sure they’ve already got a few tricks up their sleeves. As usual, I would recommend utilizing their free trial period to see if the solution suits you. 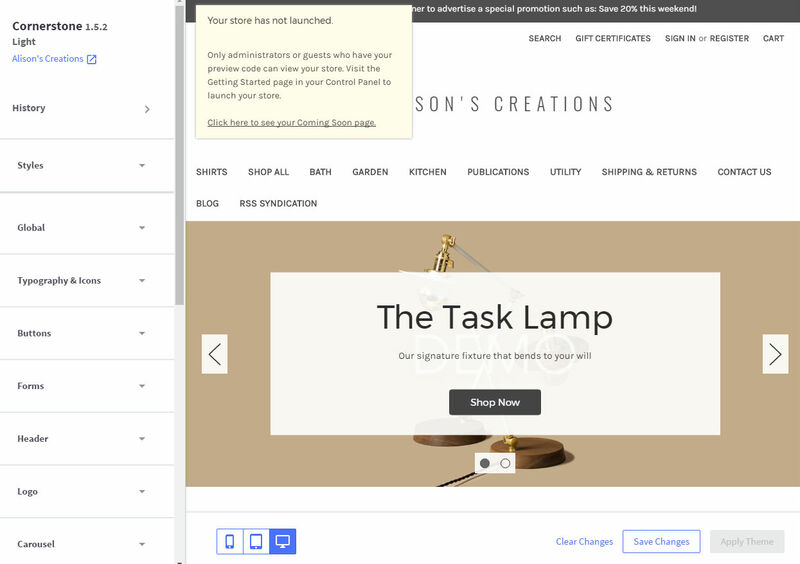 How did BigCommerce Vs Shopify template head to head turn out?